Understanding the need to be strategic in goals and actions, knowing how to lead change and navigate the company culture and maintain a healthy life/work balance are some of the critical areas in which Susan excels. Her depth of knowledge in helping leaders accelerate their contributions, while helping them to maintain a balanced approach to work and life, is what sets her apart. As a certified coach and seasoned seminar leader, her work with high potentials in global organizations is both rewarding and enriching – for Susan and her clients. Susan has spent much of her career focusing on strengthening the leadership capabilities of others. She is described as patient, but persuasive and her collaborative style has worked well in coaching for development, building more effective teams and strategic planning. She understands the nature of business and finds reward in helping others play the game of business. Some of her most recent work has been done at HP, Microsoft, Walt Disney World Co., Siemens, Prudential, Tribune, and American Express. She has spoken extensively to leading organizations on the topics of leadership development, executive presence and increasing communication effectiveness and the balance of life & work. “Susan provides an in-depth knowledge in creating an atmosphere of learning and developing for the key contributors in an organization.” - Manager, Theme Parks, Walt Disney World Co.
Susan holds a B.A. in Management & Business and is an advanced student in coaching at Coach U. She is affiliated with WOMEN Unlimited, a leadership development organization, the Executive Edge and various other HR/OD associations. She is a member of several business networking groups across the U.S., sharing the practices of leadership assessment and development. Susan enjoyed living in many states during her father’s naval career; something which taught her the skills for building relationships. Settling in Orlando, she worked for Walt Disney World Co. before earning her B.A. degree in Management & business. 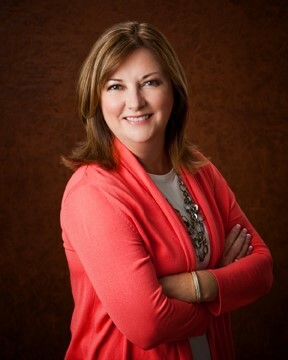 After graduating, Susan worked in corporate America, managing operations and leadership development before becoming a successful business consultant and coach. She lives with her husband of 25 years and enjoys doing things in the sun and fresh air whenever possible. She has wonderful nieces and nephews as well as great dogs.